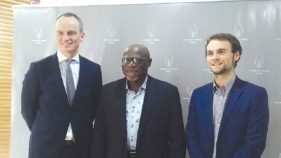 The British American Tobacco Nigeria Foundation (BATNF) has reaffirmed commitment to promoting agriculture and food security in the country.Chairman of the foundation, Chief Kola Jamodu, who disclosed this at the launch of its 2018-2022 Country Programme, in Lagos, said welfare of the rural population, is tied to agriculture in view of the high potential for growth. “Imagine if every smallholder farmer is prosperous, we would have significantly reduced poverty in rural communities and generated employment for thousands of unemployed youths in the labour market. “We do not underestimate the importance of agriculture in wealth creation or the value of smallholder farmers in ensuring that a nation can feed itself and sell to other nations.”Jamodu who disclosed that BATNF has spent N1.5b on empowering rural farmers, with over 180 programmes across the 36 states and the Federal Capital Territory (FCT), said since 18 years when the Foundation signed a Memorandum of Understanding (MoU) with government to promote socio-economic development in the country, no one knew how impactful the agreement would be until it was established in 2002. “Today, 16 years later, we are witnesses to the evolution of a promise kept. The launch of the country programme confirms the passion and commitment that guides the foundation’s programmes and implementation of activities that are geared to empower rural Nigeria for a sustainable future. A sustainable future that starts with agriculture.“Why agriculture, I hear you ask? 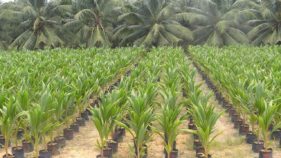 Agriculture is the largest employer of labour, it accounts for about 25 per cent of Nigeria’s Gross Domestic Product and represents one of the fastest ways out of poverty for those living in rural areas…. 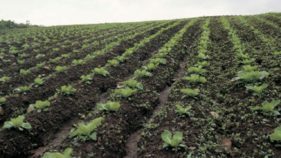 “In Nigeria, more than 70 per cent of the total farming population are smallholder farmers in rural communities, that cultivate less than four hectares, but produce up to 90 per cent of the total national output. 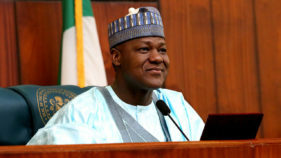 Yet, many of these farmers and others in their community account for over three quarter of the poor in Nigeria, who live below a dollar a day,” he said. General Manager of the foundation, Lolade Johnson-Agiri, said the programme would focus on five core areas and two enterprise developments.“The programme will specifically create market access through market-driven interventions and also encourage participation in out-grower schemes for rice, maize and cassava.“It will also propel value addition in crops or aquaculture, promote adoption of mechanisation and good agricultural practices, provide humanitarian aid to internally displaced persons, among others. The five core focus areas will be enterprise development, grants and government-led interventions, ABC of crop management, humanitarian aid and farmers for the future-youth entrepreneurship and empowerment. “The component of the enterprise development will be capacity building, financial support/input supply, market and off-taker linkage, access to finance, fabrication; donation of equipment and women empowerment,’’ she said.In his remark, Managing Director, BAT Nigeria, Chris McAlister, encouraged government ministries, states, agencies and implanting partners that will be working with the foundation to leverage on the grant and opportunities made available to ensure the realisation of the set goal of empowering rural Nigerians for a sustainable future.